The “HOTT Team” Thanks YOU! 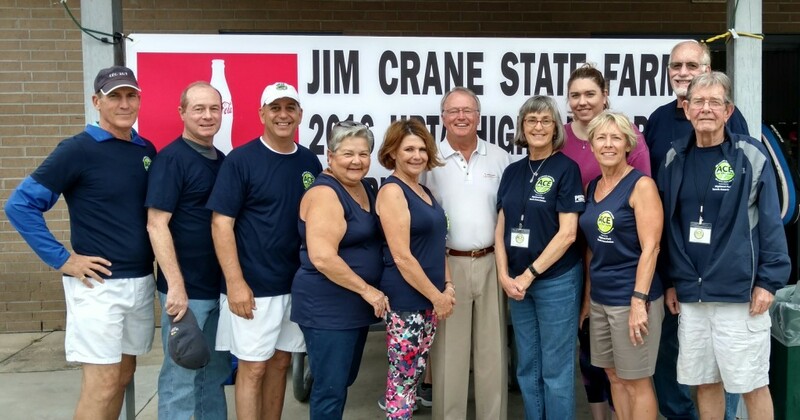 2016 Highland Open Tournament Team (“HOTT Team”) members (l-r): Gary Mollere, Mike Fournet, Rusty Jabour, Joycelyn LeBlanc, Sandra Harshbarger, Title Sponsor Jim Crane, Tournament Director Lisa Sanner, CFF Director Erin Achberger, Wendy Parrish, Fred Aldrich, and Michael Doyle. Not pictured is HPTA President Debbie Klotzbach. 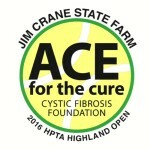 The Highland Park Tennis Association and its Highland Open Tournament Team raised a record $24,808 for the Cystic Fibrosis Foundation through the Jim Crane State Farm Highland Open and its related fundraising efforts. The tournament hosted almost 100 men’s and women’s doubles teams and was held April 15-17 at BREC’s Highland Park Tennis Center in Baton Rouge. The 2016 total was the highest amount raised in the Highland Open’s 34-year history; the previous record was $23,000, raised in 2011. The funds were raised from a variety of sources, including corporate and business donations, tournament entry fees, a silent auction, the “65 Roses” campaign, and the weekly HPTA Round Robin “tip jar.” Thanks to all of the individuals, businesses and organizations that helped us achieve our goal! “31,” Coca-Cola Bottling Co., Community Coffee, Cortana Kiwanis Club, Blue Bayou Water Park, City Pork Hospitality Group, Guarantee Restoration Services, House of Jamba, Izzo’s Illegal Burrito, Merci Beaucoup, Melanie Acosta, Lisa Thomas/Wildtree, LSU Athletics, Nothing Bundt Cakes, Quantum Express, Wendy Elliott, Demco, KR Martin, Kendra Scott, Krispy Kreme, Lamps and Lighting, New York Bagels, Renaissance Gallery, and Zapp’s Potato Chips. Thanks to all of our 2016 Rose Sponsors, listed below, who helped us exceed our “65 Roses” goal for the seventh year in a row. Every dollar of every $100 Rose goes directly to the Cystic Fibrosis Foundation to help find a cure for this terrible disease. Since 2010, the Highland Open’s fundraising efforts have contributed $153,864 to CFF, and $54,400 of those funds have come from Rose sponsorships.